This beautiful vintage Austrian Swarovski Crystal is so elegant. Circa 1950, this piece is wrapped in sterling silver swoops to enhance the beauty of this crystal. 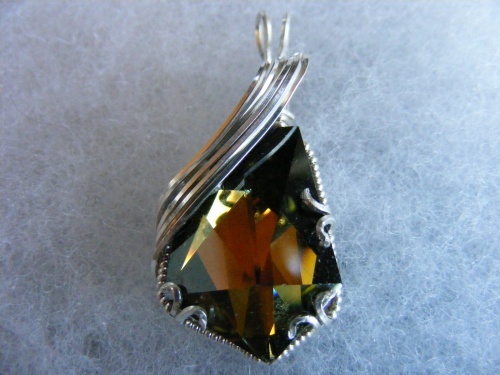 Dark amber in color, this will truly be your one of a kind favorite pieces. Comes with a sterling silver snake chain.